If you have already had snow fall in your location and have a few hours spare you might fancy building your very own snowball slingshot to help you up your game during any snowball fights that might breakout. The slingshot created by slingshot master Joerg Sprave is capable of firing a snowball at 34m/s and at huge distances. 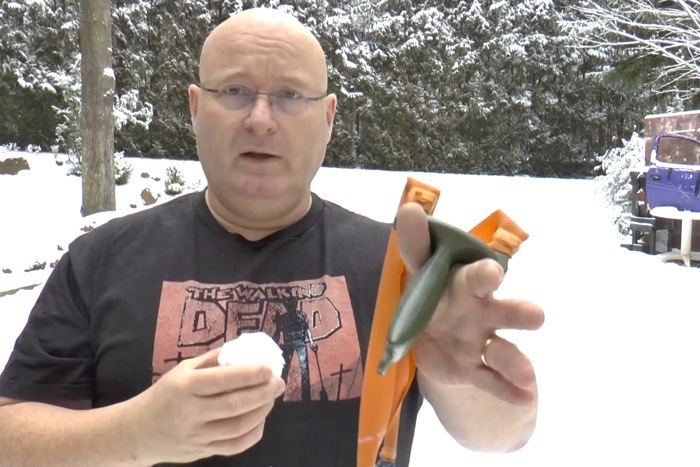 Check out the video after the jump to see the slingshot he has created and learn more about creating your very own snowball launching slingshot. “For the first time in this exceptionally mild Northern Bavarian winter of 13/14, there was enough snow for a video of this kind. Lots of fans had asked for this, now the time has come! Jump over to the Slingshot Channel on YouTube for more slingshots to make in your spare time.